After a long day at work, you probably get home, cook some dinner and then hop onto social media for a bit. There is no shame in this- the average person spends 116 minutes per day sifting through approximately different 5 social media accounts. With there being nearly 3.5 billion active social media users, social media is giving the marketing community a valuable source of demographic data. Winmo incorporates social audience insights from StatSocial to capitalize on this insight and provide a snapshot into thousands of brands’ audience compositions by gender, ethnicity, personality type, even based on geography. So how can you use this information? Here are a few of the ways our users tell us they’re leveraging social demographics to understand their prospects and ultimately win more business. There is no point in reaching out to a potential prospect if they aren’t a good fit. By utilizing social audience data, you can look for potential customers that fit your ideal client demographics. For example, if you are an ad seller catering to a specific audience, you can review demographic insights to make sure a brand’s social footprint lines up. Leveraging social data, ad sellers can quickly find brands who have a higher-than-average representation of that audience based on their social following, allowing them to qualify that brand before even engaging in outreach. 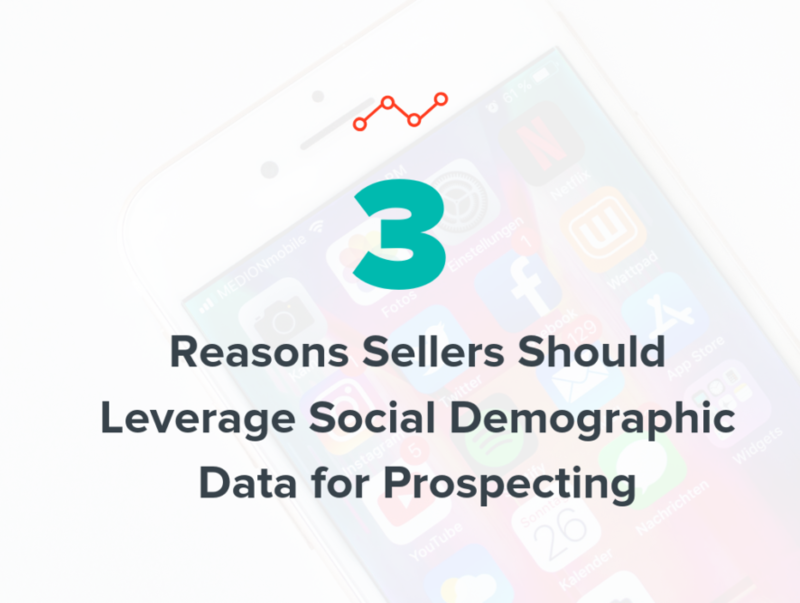 Once you know who you want to target, using the information you’ve gathered from those social demographics, you can better tailor your sales pitch to fit your prospect’s needs and explain why your product or service will help them achieve their goals. For example, if you’re a lifestyle agency presenting a proposal that lines up with a brand’s demographic footprint, highlighting how their audience breaks down across household income, you will demonstrate to the client you’ve done your homework and understand their objectives, and their business. Just as seeing that a brand has a high representation of a specific target audience is an advantage, seeing they have a low representation of one can be an advantage as well. If a brand is indexing low in a demographic that they could be attracting more of, and you can deliver that demographic, you can take full advantage of that in your prospecting outreach. Let’s say you sell sponsorship for a female sports organization and you’d like for a major liquor brand to sponsor you. You see the potential for this brand to target females, however, their social demographics skew more toward a male audience. You could use these insights in your outreach to show the liquor brand how engaging with your organization will help them to build a relationship with an underserved demographic. Now that you understand how understanding your target audience’s social demographics can help you win their business, how do you get your hands on a brand’s social data without doing the research manually? And more, once you have the data, how do you know who to contact? Winmo recently enhanced its integration with the premier provider of social data, Statsocial. This dynamic duo now allows sellers to build hyper-targeted prospecting lists with verified decision-maker contact information based on social demographic data, all in one place.